The Happiness, Joyfull and Colorful Season is Ready to Pop’in ! 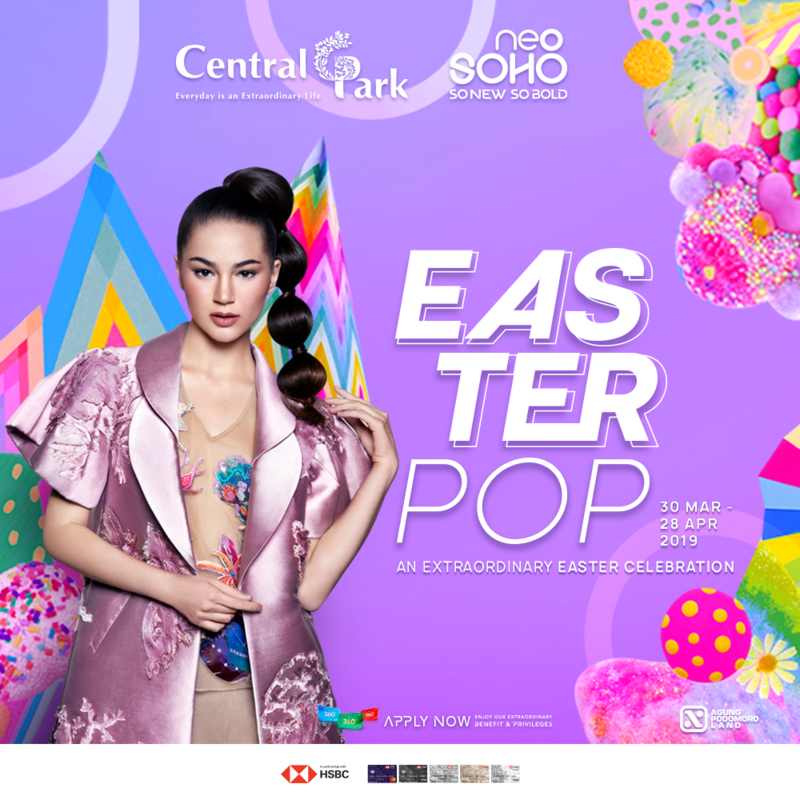 Win NEO SOHO VOUCHERS & EGG-CITING GOODIE BAGS! Shop, pop the eggs & et a chance to WIN A TRIP TO SINGAPORE! Spend min RP 500K* at Central Park & Neo Soho to get a 100K voucher and chance to play POP & WIN Interactive Game at Neo Atrium. Let’s POP it & WIN it!